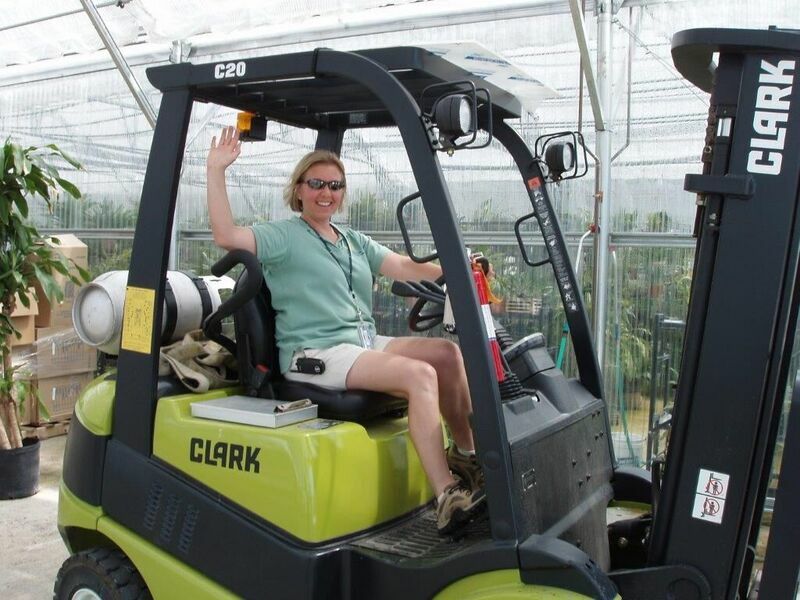 Sarah Hedean is the Living Collections Manager at Smithsonian Gardens. 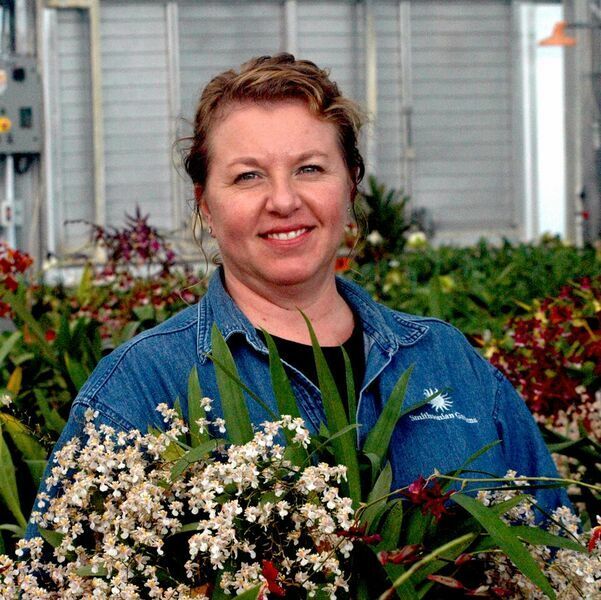 I sat down to talk with her on August 9, 2017 about her career, the field of horticulture and some of her current undertakings with Smithsonian Gardens. For part two of our interview, on the subject of bluebird nesting boxes at the Smithsonian Gardens greenhouses, see Welcoming Bluebirds to Smithsonian Gardens Greenhouses. Could you speak a little bit about your role with Smithsonian Gardens currently and how you got to here? Currently I’m the Living Collections Manager, which is a new position for Smithsonian Gardens. We were accredited as a public garden several years ago and one of the things that they had mentioned in the accreditation process was that, as a public garden, we really need to have a curator of our living collections—someone who’s overseeing how the collections are developed, managing the data flow, managing the garden maps. It’s important to have one person who’s overseeing that with a team of folks who help with labeling, managing the maps, accessioning plants, de-accessioning plants. It’s not ten people doing the same sorts of function, but one person overseeing the function so it’s all uniform across the organization. So and how did I get here? 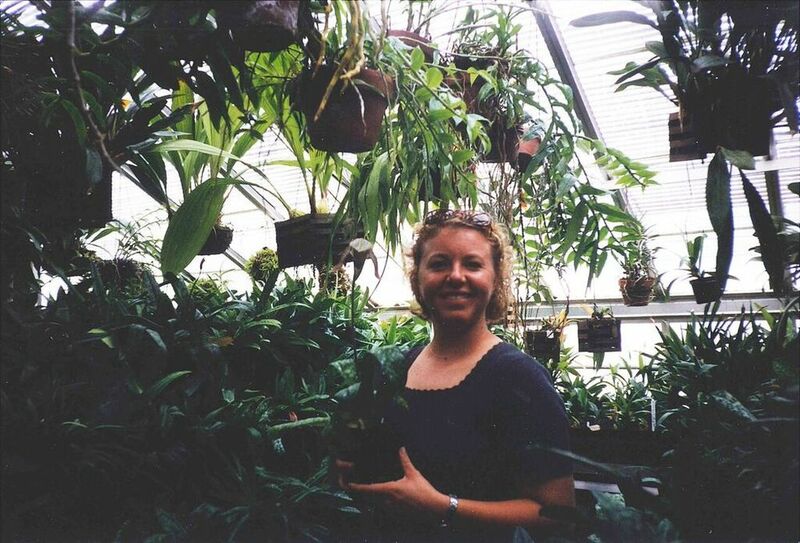 For ten years I worked as an orchid curator within the collection. Within a five-year period we got everything identified, accessioned and properly labeled with barcode tags. Spending all those years building what we did at the orchid collection was really the way I got into this new position, because I had already done it with the orchid collection. Now it’s just seeing it at a higher level and being able to really control and lead the direction for the future—thinking in ten, fifteen, maybe twenty years how are we going to get from where we are here to where we go next as [Smithsonian Gardens] becomes an urban habitat. What we feel like what we can be is the urban habitat that supports not only people, but wildlife, better in this urban environment. So Living Collections can tell that story, can document that story, and also help people learn about plants and interconnectedness. How would you explain what a horticulturalist actually does? I have an undergraduate degree in horticulture as well as a master’s degree in horticulture. Horticulture is the art and science of growing plants. So there’s the science part in which you understand plant physiology, soil science, how the plant itself operates, how the environment that it’s within, what the needs are. And then the art side that’s actually the combinations, the beauty, how you put [plants] together, so they actually work together. A horticulturalist has to have a really strong understanding of the science of how things work but also then how to grow things and cultivate. I think it’s more of the science than the cultivation, but you have to have an appreciation for both to be successful. An example would be how we’re growing native orchids. SERC [Smithsonian Environmental Research Center] is the science side, they’re the scientists. They have germ plasm that they’ve collected from all over North America. They have the mycorrhizal fungi that they are injecting to help the orchids grow because they have this symbiosis together. They’re providing that to gardens and then we’re going to take that plant material, create an environment in which it can grow, and with our expertise we will grow them to full size in the correct environment at the greenhouse. Then we can either reintroduce them into our garden areas or give them to other public gardens to take the pressure of wild collection in North America out of the picture. If you go dig a lady slipper out of your garden, if you don’t bring along the mycorrhiza, it potentially won’t survive. So it’s understanding that. The scientists provide me with the material. They have the background—where it came from. But the horticulturalist, I’m the one who actually cultivates it and makes it grow. That’s what horticulture is—it’s understanding what you need to do to make it grow and be successful. It’s a hard profession. You have to have a lot of training. I always recommend lots of internships, especially at other public gardens, to really find the way in that you’re really comfortable with. Some horticulture is very focused on science—on plant conservation. Some horticulture is very focused on display, and how it looks within that display environment. And working in different gardens can really help you decide what direction you want to take because horticulture is so broad and it’s applied in so many different ways and places and across so many fields. You can be in agriculture, you can be an ecologist, you can be an ethnobotanist, you could be a florist, you can be a vegetable grower. There are many different ways you can apply horticulture. So really trying your hand at some things with some guidance early on would be helpful to find your niche. I think so. I come from a gardening family. My grandfather, he had a grocery business and he also had a garden. 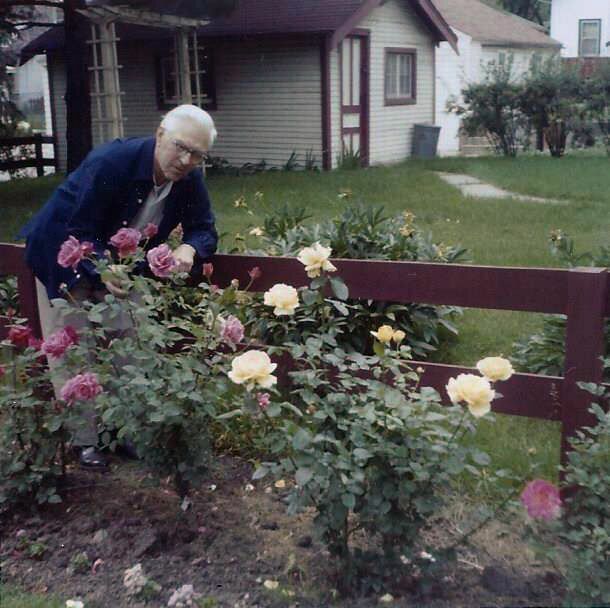 He lived in Minneapolis and in the winter everything was dormant, so he would trellis all of his roses through the winter so they would survive. He would have to replant them every spring. He had a greenhouse that he created in his basement for all of his African violets and he could spend all of his evenings with his African violets to kind of refresh his spirit because it was six months of cold and darkness. I think having that influence from a young age, whether you have school gardens and you’re getting that impact from being at school and growing things, I think that if you don’t get it from a young age it’s really hard to find this as a career because it’s hard work. My parents had five kids. My parents were both professionals. They were both working. We all had responsibilities. We always had large gardens because we had big vegetable gardens to feed the family. We had fruit gardens. We had a big strawberry patch. From an early age, I was responsible for the strawberry patch. I’d have to do the weeding and the harvesting. I’m a big canner too, so I learned how to can and preserve the harvest. I learned to really appreciate the outdoor world and what it had to offer. How did you first connect those early experiences with the idea of wanting to be a horticulturalist? Where did those things come together into thinking about that as a career? Well my father is a doctor, so I started off as pre-med in college. And I had a music scholarship. Between trying to do pre-med and having a musical scholarship and trying to do those two things, I was doing them both poorly. I got about two years in and I had all these science credits because I was pre-med, and I just thought one day, “You know I’m just not happy. This is just not the direction I want to go. What do I really love?” And I thought what I really love are gardens and being outdoors and growing plants. I changed my major. I became a botany/horticulture major . . . Also, I grew up fifty miles from Longwood Gardens. I’m from Pennsylvania, from Bucks County. We would seasonally go to the garden. Every winter we would go to see the holiday season. 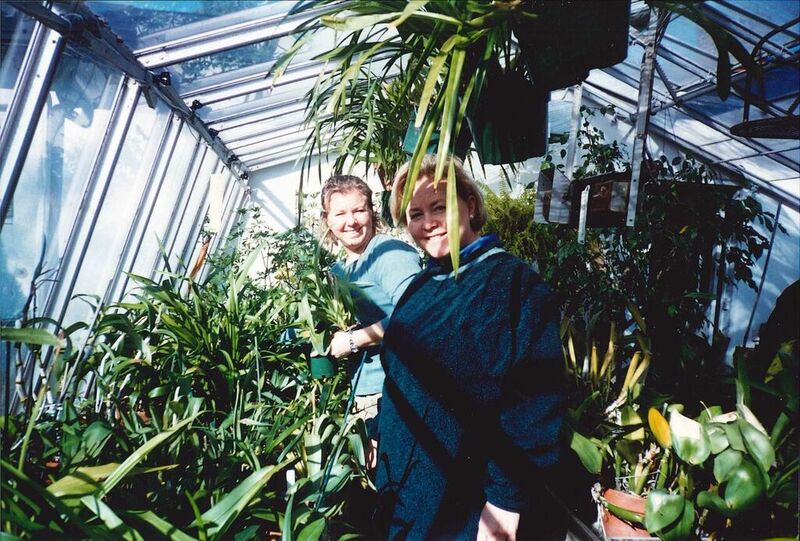 From a very young age we were going back and forth to public gardens like Longwood Gardens and gaining an appreciation for what that takes, and seeing the staff out in the garden working, and thinking that could possibly be a direction for a career. You had examples of people who were already doing that work? I had examples. And I worked in a garden center after I graduated undergrad. I realized that was not for me—the retail side—because the push was not on educating the public but to sell plants, even if they were sun-loving plants for shade conditions. That’s when I went back to graduate school through the Longwood Graduate Program. I was a fellow in that program. I was able to think about how you could educate people about gardening in a way that isn’t related to a bottom line. And that’s what I love about gardens—public gardens—is that it’s just about the appreciation of beauty. I interned in a lot of different places. I lived overseas for a while in Australia, New Zealand. I worked in gardens there. 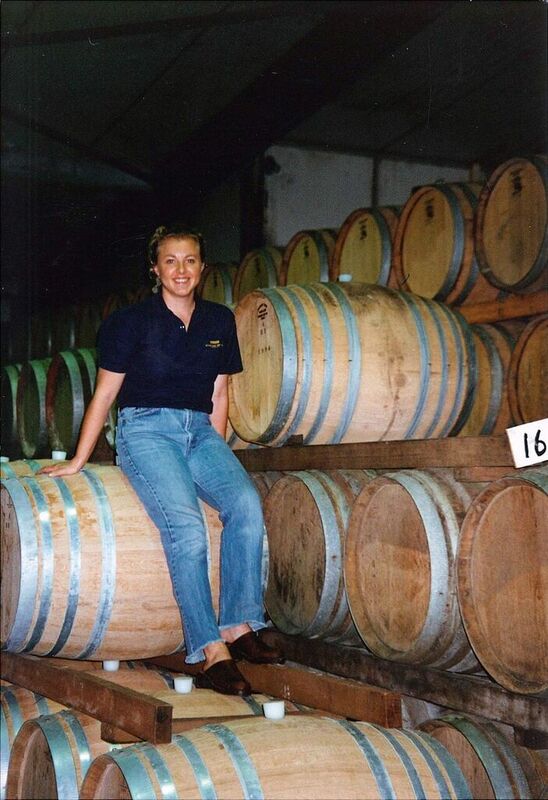 I worked in a winery in Australia. 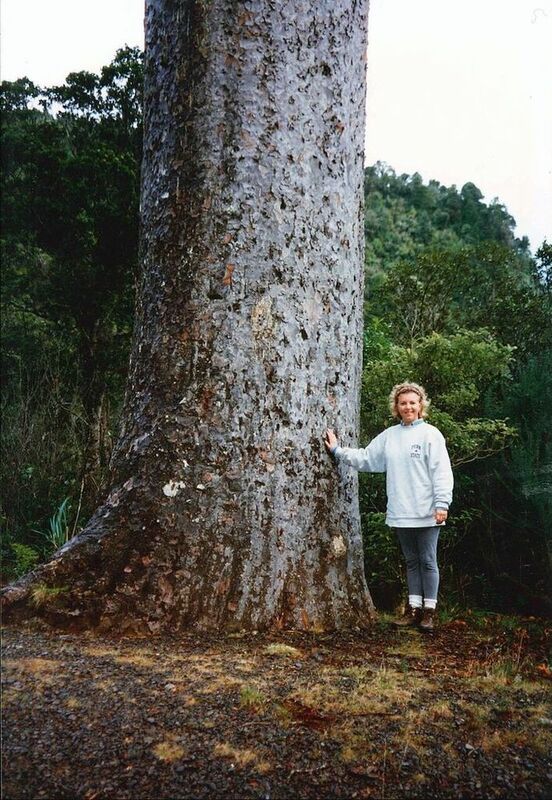 I worked at a research plot that grew wild-collected palms in New Zealand. They also had a farm where they harvested the bamboo shoots for the Asian markets. There was a little retail in that, but more work as a farmer. I think public gardens are a way to bring all those things together because there can be so many different diverse departments within a garden. I’m in Collections. I work with Education. I work with the Horticulture staff. I work with the IT department at Smithsonian. I write grants. I do all these different types of things. Being in a museum also opens you up to a whole different world of people. Did you have any teachers or mentors that influenced the course of your career? I think that I’ve had lots of great advice. I was in the developing leadership program here at the Smithsonian and I had a wonderful mentor. I’ve had a couple of other folks who helped me in different parts of my career, like Casey Sclar, the director of the American Public Gardens Association. He’s been really instrumental in helping me in finding these opportunities I wouldn’t necessarily have found, volunteer opportunities. The next thing I’m looking for is maybe to be on a board of directors, maybe for a small non-profit, so I can start to see it from the perspective—making high-level decisions and thinking about fundraising and that sort of thing. Do you think it’s important to seek out those people at different points in your career? I feel like it’s always good to have someone you can talk with honestly about things that are going on not only in your personal life but in your professional life—someone you can roll things off of within a cone of silence where you feel comfortable that whatever you say won’t be judged. I really feel like you need a teacher or someone who takes you under their wing. That can really propel you in a direction you may not have gone in. How did you come to be an orchid specialist? When I was at Longwood Gardens as an intern I was a rotating conservatory intern. I really fell in love with the orchid collection. The orchid curator at the time, Mike Owen, just loved to have students that were really interested. I guess he was a mentor at the time. He took me under his wing and I stopped being a rotating intern and just focused right in with him and learned to really love orchids and understand the importance of orchids. Also from a young age I had a neighbor that had an orchid collection. I spent time with them learning about the plants and learning about greenhouses. I’ve always had that experience of being in a greenhouse. I have a greenhouse now where I have my own personal collection. It’s housed at someone else’s house, but I take care of her collection as well. I have big gardenia trees I can keep in the greenhouse in the winter and bring them out in the summer. Just kind of being in that environment and from a young age being exposed to orchids. At that time orchids were very expensive so it was a wealthy person’s hobby. 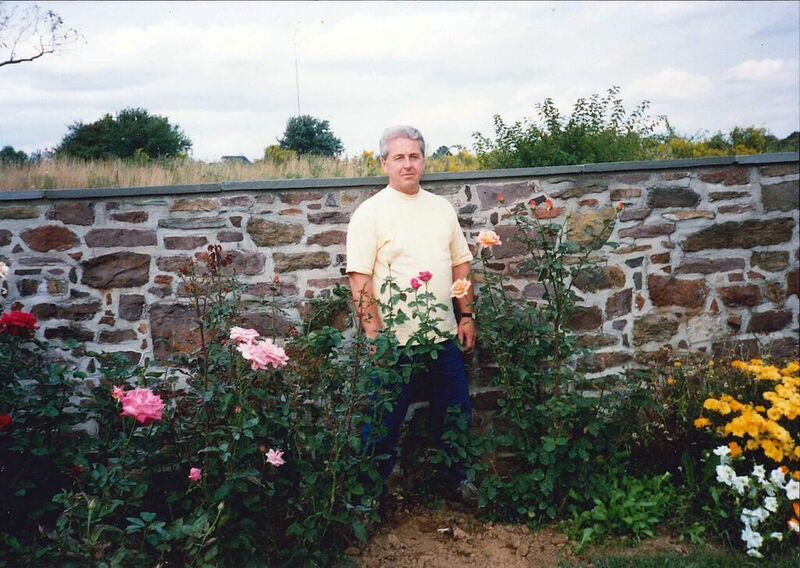 Where I lived in Pennsylvania there was a really fine orchid grower about ten miles from my house. We used to sojourn there, especially in the winter when it’s kind of dreary. That’s another place where I started to learn about orchids. At that time they were so expensive. You’d buy a little teeny tiny one for $40 or $50. I had the opportunity to come into the orchid collection here at Smithsonian and for the last ten years just learn so much about orchids I had never seen before, orchids from all over the world that are rare or unusual, outside of what you would normally see at a grower or in a personal collection. Orchids take a lifetime to learn. It’s the largest flowering plant family in the world. Every day I should be spending more time learning about orchids. I’ve had great teachers. Cheyenne Kim is one of the orchid growers with me in the collection and he’s just a phenomenal resource. He’s travelled the world, and travelled through orchid jungles, and has great stories to tell. I’m learning from him; he’s passing along his knowledge to me so I can pass it along to somebody else. Orchids just take a lifetime of learning. I would say I’m a generalist. I know a lot about a lot of different things instead of a lot about one very specific thing. What do you like most about being a horticulturalist? I think that what I like best is that I know how to grow a tree in my office. There are some leaf tips, but since I repotted it it’s doing better. But figuring out what it needs so it can be successful. This is a hard plant to grow. Is it the problem-solving aspect? I think it’s knowing how to grow something to its full potential, how to take care of beautiful orchids and make them last for four or five months in bloom. I have a community garden plot because where I live we have a lot of shade, so I can’t grow vegetables and cut flowers. It’s very rewarding when I can go and I have a big bucket and I can harvest all my cut flowers that I planned to grow from last year and I can have all these beautiful bouquets in my house. Or I can pick, like I did last weekend, sixteen pounds of hot peppers, and I can process them and have them for the winter when I want them. It’s enjoying the bounty and the beauty. I like the outcome. I like that I have a large orchid collection so I can bring them home and enjoy them. They’re not sitting in the greenhouse flowering. They’re at home, I’m looking at them. 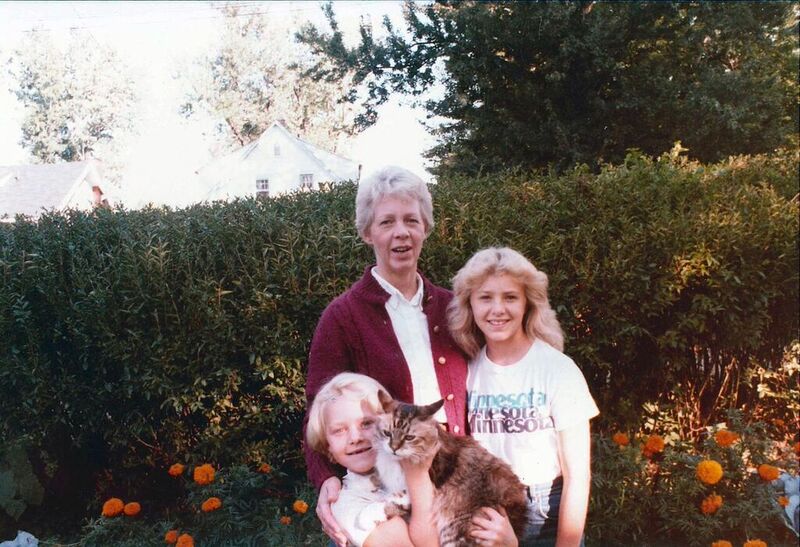 My mother has Alzheimer’s, and she has caregivers who come and take care of her while I’m at work. And they, all day long, can sit and look at those flowers and see the beauty. And how many people have twenty, thirty orchids in bloom at one time at their house? It’s always enjoying the outside inside and the beauty of that. I think for me in horticulture it’s [about] enjoying the bounty of the effort, because it’s a lot of work. I mean it’s so much work! It’s a lot of work with a great reward. Is there any additional advice that you would give to a young person who might be thinking about the field of horticulture? I don’t necessarily think that people even think about horticulture when they’re younger. I think they have to be introduced to horticulture, whether it’s through a community garden at their school, or they go to a farm. I think if anything just to have that experience early, just being out there, and understanding where your food comes from or where your flowers come from, or the plants that you see in the grocery store, where did they come from. They were grown in a greenhouse somewhere. What does a greenhouse look like? People don’t even know what that side of things is. It’s nice to see the back side of where things are created or produced. The greatest part about horticulture is the living part of it and the bounty of what you get from whatever’s living, whether it’s cut flowers or vegetables or fruit or a tree that you put in your office. What about somebody who’s in college and maybe thinking about being a botanist or a horticulturalist. What are the different possibilities if you’re really interested in plants? Again I think it’s important to do internships. We had a summer intern this summer. She’s in agricultural education, so she’s getting an education degree with a focus in agriculture. And she came and worked with us with the orchid collection and she’s like, “Wow, I never thought about taking it this direction. I always thought I need to be a teacher. I can have my own greenhouse. I can teach science courses.” It’s the same approach it’s just a different area. I think the more experience you can get, whether it’s in a garden or travelling somewhere, whether they’re farms or vineyards or whatever they are, you have to get exposure. Having more exposure helps you really narrow the direction you’d like to take. I don’t think you would necessarily find horticulture at a college level. You’d have to find it sooner. Because you wouldn’t even know what you would become. Most people think “I can work in a garden center”. Public gardens aren’t really the direction most people in horticulture take. They’re more in agriculture, some of them are going to be a farmer or be a grower somewhere or be an ecologist or go into the Peace Corps and help with growing crops in Africa. Horticulture is pretty specific. There are so many different ways to go within a public garden depending on what kind of garden it is. There’s research—the Chicago Botanic Garden is all about plant conservation. You’d learn something very specific there. Longwood, that’s a display garden. It’s all based on beauty. Or a university garden or a historic garden where you would learn about history and how that relates to the mission. It’s so different. So in high school hopefully people are getting some awareness that these potential career paths even exist. I hope so. I think the people who grow up where there’s a land grant university, there are typically horticulture programs because it’s a land grant university. They are invested in research within very specific parts of agriculture or horticulture. And I think you have more opportunity to have that understanding so you might take a high school trip to see a college and to see the program. I totally think that a career in horticulture is very fulfilling. There’s so much to learn and it takes a lifetime to learn. It’s not something you’ll ever stop learning. You’ll always have room to develop and grow and learn new things because it’s so vast. There are so many plants in the world to learn and so many places you could travel to see them. Now with climate change some of those environments are going to be lost, so the opportunity to go see them before they’re lost, working in conservation or adaptation or climate resilience or migration. There are so many new areas, new fields, within the plant sciences to really go into. Horticulture is just one side of the plant sciences. It’s exciting, not because you want it to be exciting, but because there’s a lot of new potential for plants to become more important. It’s a hard career. It takes a lot of work. I had an intern from California a couple years ago. We were at the greenhouse. It was a hot summer and we were in the greenhouse, and she just melted. It was so hot and she wasn’t adapted to the heat. And interns can spend eight hours weeding. Part of it is not very glamorous, but the part that is glamorous is wonderfully so. But there is the day-to-day. You have to water. You have to weed. You have to mulch. Those are not very glamorous things. That’s part of the job. You have to have a willingness to do that to have good outcomes. It’s not just taking the credit for the beauty. You have to get yourself dirty. It’s hard work, but it pays dividends. I’ve been very fortunate. I’m really very happy. I think the important lesson to learn is that it is hard work. Not everyone is suited for it. As you get older you do rise up in the ranks, but some people are very content to stay out in the garden doing the hard labor. It just gets harder the older you get to be bending over, and the heat. It’s just something you need to think about. You’re going to start out that way, what trajectory are you going to take? And that’s why I think public gardens, are a wonderful place to go because there are so many trajectories you can take. You can go into education, you can go into collections, you can go into research. There are so many different directions you can take from where you started to where you end your career. I always want to keep building on what I’ve done. There’s lots to learn and being a horticulturalist is about being open to learning. Things are changing and things are growing and new pests are always emerging. Dealing with invasive species are always a challenge. What are some of the new ways to manage that? Goats, goat herds. Interviewed by Nicole R., Smithsonian Gardens volunteer, August 9, 2017.